What is a 1031 DST? A 1031 DST is an acronym for a Delaware Statutory Trust which is fractional ownership of real estate. In 2004 the IRS issued a Revenue Ruling clarifying the terms on structuring a 1031 DST investment for 1031 purposes. Please review the IRS Revenue Ruling 2004-86. Delaware Statutory Trusts (1031 DSTs) began in 2004 with the IRS Revenue Ruling 2004-86 which detailed the best structure. Each 1031 DST is a separate legal entity and each investor receives “beneficial interests” in the DST or trust for IRS 1031 purposes. 1031 DSTs are undivided fractional interest ownership in property. 1031 DSTs have low minimum investment amounts and therefore create an ability to diversify your current rental property into multiple investments in different cities, states, and asset classes such as apartments and net lease retail. A 1031 DST is a separate legal entity created as a trust under Delaware statutory law. Delaware law permits a very flexible approach to the design and operation of the entity. However, to use a 1031 DST in a Section 1031 tax-deferred exchange private placement program, it is necessary to comply with the requirements of IRS Revenue Ruling 2004-865 so that a beneficial interest in the trust is treated as a direct interest in real estate for income tax purposes. It is also necessary to meet lender requirements, especially if the loan is to be securitized. An efficient and popular vehicle for protecting assets and structuring capital market transactions, a Delaware Statutory Trust is often the special purpose entity of choice for securitizations, liquidations, premium finance programs, life settlements, investment funds, real estate acquisitions, tenant-in-common structures, and much more. CSC Trust Company of Delaware (CSC Trust) can assist you in forming a Delaware Statutory Trust in a cost efficient and expeditious manner. Whether you need active trust administration or a passive resident trustee solely for the purpose of meeting statutory requirements, we will partner with you at every stage to ensure the success of your transaction. Click here to contact a Corcapa 1031 Advisor for additional 1031 DST Exchange Information and Current 1031 DST offerings. Recommended 1031 DSTs blog posts and articles. What is a Delaware Statutory Trust 1031 Exchange? Is a Delaware Statutory Trust Right for You? Get a FREE 1031 DST Property List. How is a 1031 DST Structured? What makes the Delaware Statutory Trust 1031 Exchange (1031 DST) work so well for investors is having the ability to let numerous potential investors vie for the chance to purchase a beneficial interest. While at first glance this may look and sound risky, the opposite is actually true. Under this arrangement, the master tenant simply acquires the property under the Delaware Statutory Trust umbrella and allows investors to join up. This allows them to do one of two things with their money, which is either deposit standard 1031 Exchange profits into the 1031 DST or purchase an interest in 1031 DST directly. 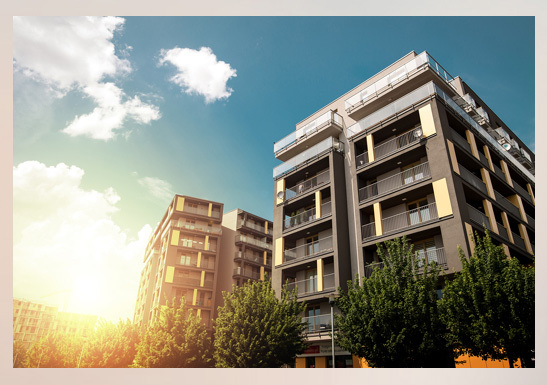 With these options investors can find themselves owning such types of property as apartment buildings, medical offices, or even large shopping malls. Investors can select multiple 1031 DST properties as part of their 1031 exchange allowing diversification of asset classes, cities and level of needed non-recourse debt. 1031 DSTs have lower minimum investments – often as low as $100,000 of equity. If you require a lower investment amount than the stated minimum, let your Corcapa 1031 representative know and we may be able to negotiate a reduction in certain circumstances. Because a 1031 DST investment does not require a special purpose LLC entity that needed to be annually maintained and paid for they can potentially have lower fees in than TIC investments. Most 1031 DSTs have a projected cash flow based on the anticipated rental income less expenses. It could have a higher net cash flow than your current rental property. Note: with all real estate the income cannot be guaranteed because the rental income and expenses can increase or decrease unexpectedly. Virtually all the loans within the 1031 DSTs that are approved by Primex are non-recourse which means the investor does not personally guarantee them. Easier access to financing for investors needing debt on their replacement property and potentially quicker closings. Investors like the pre-arranged 1031 DST programs so that some of their 1031 risk is removed. Like any investment opportunity, a 1031 DST is not without its share of potential risks. Loan defaults, high vacancy rates, and lack of sole ownership are all distinct possibilities with a 1031 DST. 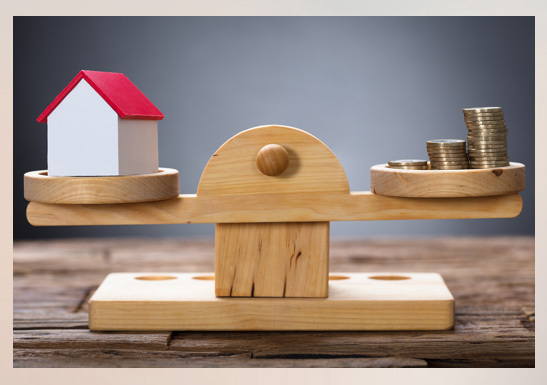 However, its biggest advantage is giving some investors the chance to buy into certain properties they otherwise would not be able to do on their own. By consulting with investment advisors on legal and tax advice prior to entering into these investment arrangements, it’s quite possible to not only have more money in your later years, but also much more time to enjoy it as well. Learn More About 1031 DST Exchange Investments. Corcapa 1031 Advisors has helped individuals in Alabama, Alaska, Arizona, Arkansas,California, Colorado, Connecticut, Delaware, Florida, Georgia, Hawaii, Idaho, Illinois, Indiana, Iowa, Kansas, Kentucky, Louisiana, Maine, Maryland, Massachusetts, Minnesota, Nebraska, Missouri, Montana, Nevada, New Hampshire, New Jersey, New Mexico, New York, North Carolina, North Dakota, Oklahoma, Ohio, Oregon, Pennsylvania, Rhode Island, South Carolina, South Dakota, Tennessee, Texas, Utah, Vermont, Virginia, Washington, West Virginia, Wisconsin, Wyoming and all across the country diversify their portfolio with alternatives.